Our 18oz Left Hand Twill (LHT) raw selvedge denim is super dense and tough, woven by a vintage shuttle loom in a Left Hand Twill construction. LHT is known for its rich deep color, smooth surface, softer feel and break-in easiness. Many people say LHT evolves remarkable comfort and fluffy feeling worn over time. It has different wear patterns emphasizing vertical fading that tends to be streakier and little more blurry in comparison to RHT. Made by incredibly skilled artisans of Kojima, Japan with extra care on a Union Special Machine. It is made using 100% US cotton, rope-dyed indigo warp, and white weft. We will only release a limited number of products. Don't miss out! He is wearing 32" straight cut. His height is about 5′11″ and weighs about 145lb. There are very few factories that can sew this thick and heavy denim. These limited and unique pairs are carefully handcrafted by skilled artisans in Kojima, Okayama, Japan. Our Pre-Order Campaigns are infused with crowdsourced concept, asking your support to bring the products to life! This campaign is scheduled to end at May 13, 2019, and you will not be charged until the campaign ends. We are going to collect funds on May 14, 2019. Estimated delivery date for this campaign is June 2019. 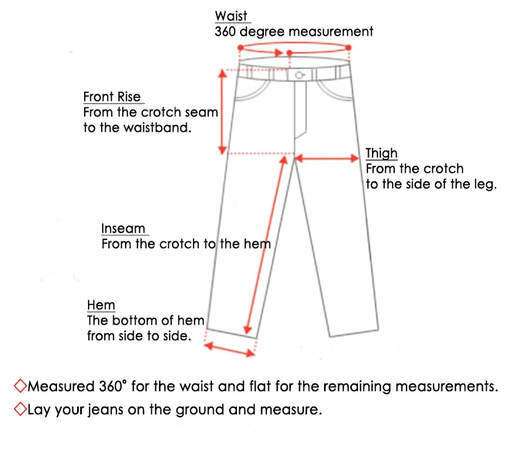 KOJIMA GENES jeans are made little tighter than US standard sizes, so please check the SIZE CHART to order the right size for you. Hemming is available with a $15 fee per jeans. (You can request it at check-out. Not too tight, not too loose. Lends a vintage vibe, adding full of timeless subtle details. Modern sleek look and flattering fit. Tapered from the knee down and​ leaves room in the right places. Two colored stitching using Lemon yellow and Copper threads. ​KOJIMA GENES was born in 1996 with respect towards the artisans in Kojima, carrying on the legacy of quintessential Japanese denim. Shouldering generations of artisans in Kojima, where Japanese denim originated, to create top quality denim offering unpretentious, yet essential collections to denim lovers. While maintaining the affordable price point, we put our heart and passion into every step while not cutting any corners. Our jeans are made with daily wear in mind, bringing flair to your daily lifestyle. All of our products are proudly handcrafted in Kojima. ​In 2014, the KOJIMA GENES x SF project was started with one vision: Bringing the story of “Made in Kojima” denim to people of every corner in the world. We present our exclusive lines to the global audience from San Francisco, in this beautiful city by the bay also known as a “GATEWAY TO THE WORLD". ​We all work hard together with a jolly spirit and hope you feel that when you wear our products. We believe that "GOOD GENES MAKE GOOD JEANS".